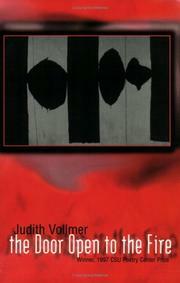 Chatty and free-flowing, Vollmer’s best poems are generous celebrations of Pittsburgh and her ethnic family; the winner of Wisconsin’s Brittingham Prize for her first book, Level Green (1991), Vollmer teaches college writing and incorporates her experiences in a number of overly loose poems, in which she quotes her students, who also complain about her poetic models, including James Wright, the subject of a long homage for his portraits of hobos. Given to political rants, she recalls teaching in a —barbaric— high school during the Reagan years, when she —had eaten Reagan/like a dot/of blotter acid,— whatever that means. Vollmer frankly details her sexual history as well, remembering a long-ago abortion (—Passing the Clinic in a Small Town—) and then, in —What She Didn—t Tell Him,— recalling the joyful relief afterward. A walker in the city, the poet sees —the poor— and —the workers,— but she’s also capable of more subtle observation: —We Built This City— inventories its multitudes; —Night Walks— recommends a nocturnal journey (with mythic echoes) as an antidote to insomnia; and her one fully realized poem, —The Approach,— matches its claustrophobic couplets to her experience stuck in a traffic jam underground, with the promise of light ahead. With the tribal/ethnic force of Forche or Broumas, Vollmer sings herself and her city.